Season with seaweed salt and some pepper. Chill for 30 minutes until it slightly hardens. 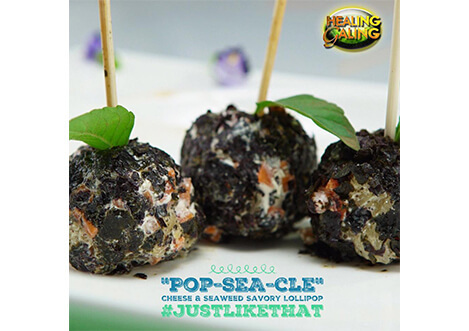 Using the palm of your hand, shape and mold into small bite sized pieces and then do a final layer by dipping it on finely chopped seaweed.